Why consult a registered dietitian? Registered dietitians are food and nutrition experts who can separate facts from myths and translate the latest scientific breakthroughs into practical choices. 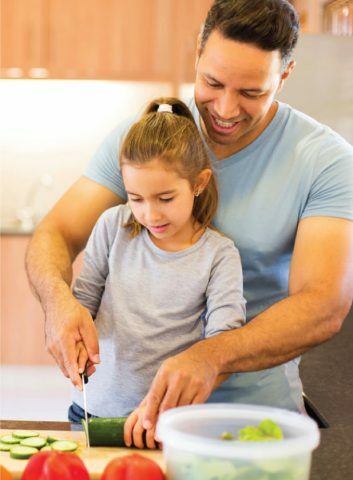 They can assist in helping you make healthier food choices, answer questions and make suggestions regarding ways to prepare healthy and delicious meals. Who would benefit from consulting a registered dietitian? What can I expect at my visit with the dietitian? At your first appointment, we will review eating habits and overall health. A dietitian will work with you to make positive and realistic changes to reach your health goals. We will schedule follow-up appointments as needed. At Valley View, we require a referral from your healthcare provider for nutrition counseling services. They will need to send a referral to our fax number at 970.384.8126 or call our office at 970.384.7006 to outline your diet plan and medical history. We work with most insurance companies. Check with your carrier to see if charges will be covered. You are responsible for charges not covered by insurance.